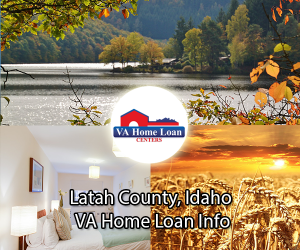 The 2019 $0 down, VA home loan limit for Latah County is $484,350. Located on the western edge of Idaho, Latah County was originally part of Nez Peirce County. Latah County was officially created by the Idaho State Legislature on December 22, 1864. Named for the Latah Creek, Latah County is a great place for those that love the outdoors. The county encompasses a total area of 1,007 square miles, and is the location of the Columbia basin, making it a great place for aquatic activities. Latah County has plenty of options for veterans looking to return to school. The total population is 38,411, including a veteran population of 2,141. Latah County boasts some of the best views in Idaho. For avid hikers, Moscow Mountain offers many hiking and biking trails. Those who want to enjoy the excellent views from the top of Moscow Mountain can take their car to the top. During the fall, Moscow Mountain is one of the best places to watch the colors of the leaves change. The prominent tree species located in Latah County is the Western White Pine. Some of the wildlife that can be found in and around Moscow Mountain is the clay-colored sparrow and the rough-skinned newt. Veterans looking to return to school should greatly consider the University of Idaho. With so many degrees and majors offered, the University of Idaho is the perfect place to start on your new career. Most veterans are eligible for the GI bill, which greatly helps finance your education. The University has many groups and clubs, including dance, concert band, drama, and much more. The University of Idaho also has many sports teams that host many games throughout the year! A great place to take your family on a nice day is Phillips Farm. Phillips Farm is 160 acres and is made up of lush forests, open fields, and vast wetlands. There are many hiking trails, which provide excellent views of the surrounding forests and wetlands. Phillips Farm hosts many of the fun annual festivals held in Latah County, including the Fall Festival, Pioneer Day, and more! Camps and afterschool programs are also offered at Phillips Farm. If you enjoy camping, then be sure to visit Robinson County Park. Robinson County Park has everything you need for a great weekend camping trip. With many RV and tent campsites, you can camp the way you want! For picnics, Robinson County Park offers many picnic shelters, BBQ grills, and picnic shelters. A Veterans Services Office and several other veteran resources are located in Latah County. Veterans living in Idaho are offered tax benefits, professional licenses, employment benefits, and much more! The median housing cost is $189,100, and the median household income is $41,735. Let VA Home Loan Centers help you complete a VA loan application and find a home! 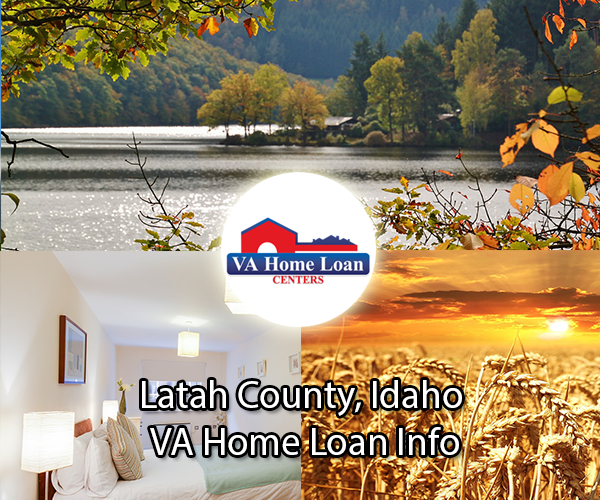 For an updated list of VA-approved properties in Latah County, call VA Home Loan Centers at 888-573-4496. For help obtaining condo approval, contact VA Home Loan Centers.